Sorry but the travel package Ski & Stay Package at the Seneca Allegany Resort $ Casino may no longer be available (12/02/2018 - 04/14/2019). Please check our other travel packages. 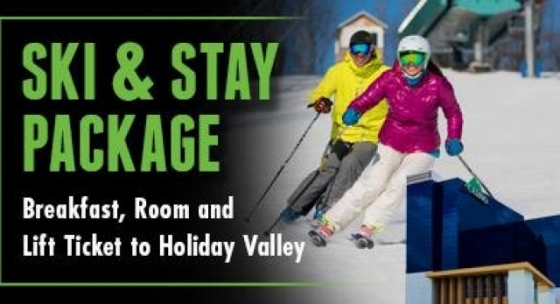 Our incredible Ski and Stay Package includes an overnight stay in one of the luxurious deluxe rooms, breakfast and one Lift Ticket per person, per stay to the Holiday Valley Ski Area.